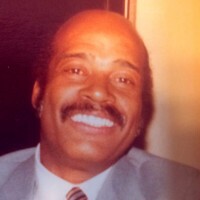 Stone, Ronald F. Age 83, of Mpls., passed away August 25, 2015. Preceded in death by parents Melvin and Opal Stone; sister, Jayne Stone. Served in the US Air Force and spent time in active duty in South Korea. Worked at Bell Telephone Co. for many years in Mpls. and transferred to Los Angeles, CA. Retired and returned to Mpls. and lived at Ebenezer Homes. He was a wonderful son, brother, and uncle. Joyful and full of laughter. A pleasant person to be around. His spirit lives on in the hearts of those who knew him. Survived by brothers, Stanley and Melvin, and sister, Sylita; many nieces, nephews, as well as friends. Service will be held 11 AM, Thurs., Oct. 1st at Church of New Life, 7101 Nicollet Ave So. in the Chapel.